Are you planning to spend your holidays in any of the popular destinations of the world? Venture into Hyderabad, one of the largest cities of the southern state of Andhra Pradesh located along the banks of the Musi River. Hyderabad is visited by thousands of tourists to enjoy the heritage and culture of the city. 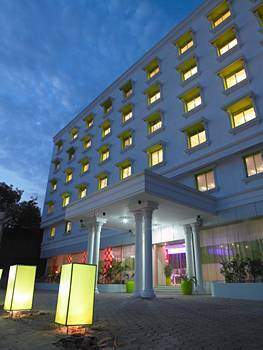 Hotels in Hyderabad are classified into various categories such as 5 star hotels, 4 star hotels, 3 star hotels and budget hotels. People have the option to select their hotels according to their requirement and need. Most of the hotels offer multiple options to the business guests that include current exchange facility, swimming pool, tennis courts, internet connection, gym, doctor on call, 24 hours room service and so on. can you suggest me the best budget hotel near akbar road in hyderabad?